We've gotten some questions about the upcoming sketchbooks with Story Supply Co., and I've noticed some confusion I want to clear up. 1. 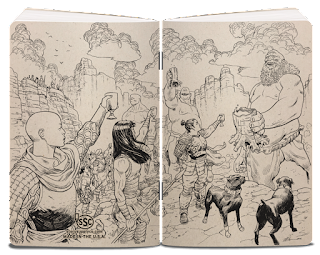 The War and Peace edition is a limited edition sketchbook. So, once we sell out there is NO GUARANTEE that you'll be able to get a set. Some folks are taking a "waiting and see" approach with this, which is a mistake. I can't stress enough, this is NOT like in comics where you can wait for the trade. 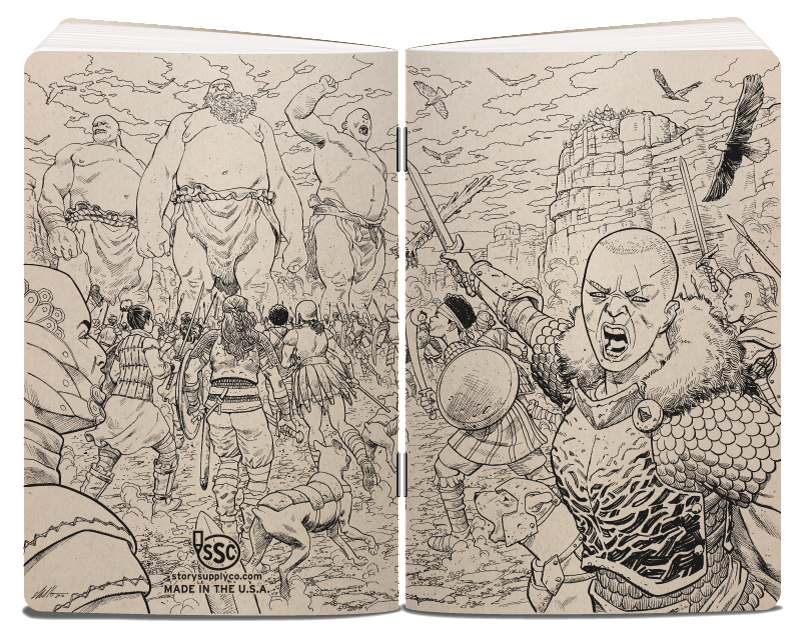 If you want to be SURE to get these limited edition sketchbook you gotta pre-order. 2. Only the pre-ordered sketchbooks are GUARANTEED to be signed. 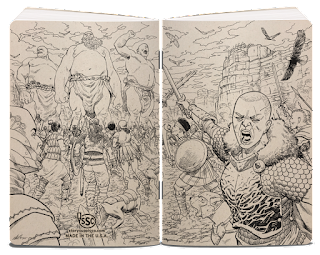 Once the pre-orders are done, there is NO guarantee of getting a signed edition, unless you can personally come to one of our events for the sketchbook. Same goes with the sketches inside the sketchbooks. If you want me to sign and sketch in your special edition sketchbooks you MUST pre-order and choose one of the two sketch options. 3. If you choose the $50 sketch option I will do a sketch in one of your sketchbooks. 4. With your pre-order you get BOTH the War AND Peace sketchbook, NOT one or the other. They come as a set of two. Each SET sold also means we donate one sketchbook to a young artist. 5. I don't currently doing commissions, but if you choose the $100 sketch option for the set I will do one sketch, character of your choice, in one of the sketchbooks. So, basically a commission, with the pre-order. If you have any questions the folks at Story Supply Co. and I would love to answer them, and we hope you choose to support this important project! But you have to jump on this before all the pre-order options are gone! Labels: sketchbook, Story Supply Co.
New project with Story Supply Co.!